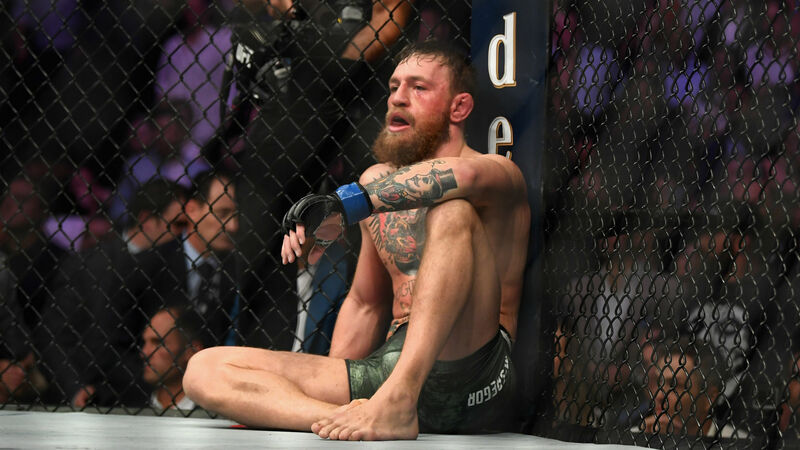 Conor McGregor claims he “won the battle” despite his loss to Khabib Nurmagomedov, who remains in trouble over the scenes that followed his UFC lightweight title defense. McGregor submitted to Nurmagomedov’s fourth-round rear-naked choke, but Khabib’s victory immediately was overshadowed as he left the cage in the direction of the Irishman’s stablemate Dillon Danis, prompting a melee while the beaten fighter tussled with others in the Octagon. The mayhem was condemned by UFC president Dana White, who suggested the Nevada State Athletic Commission could strip Nurmagomedov of his title as it continues to withhold his share of the purse. Meanwhile, McGregor took to Twitter in the aftermath to suggest he wanted a rematch, before again referring to the incident in a post Monday.